Pasilla chiles are a vital ingredient in Mexico and are now becoming more common in the States — that’s a good thing! So if you keep coming across them in your neighborhood then consider adding a few to your kitchen arsenal. Here’s everything you need to know about these beauties! 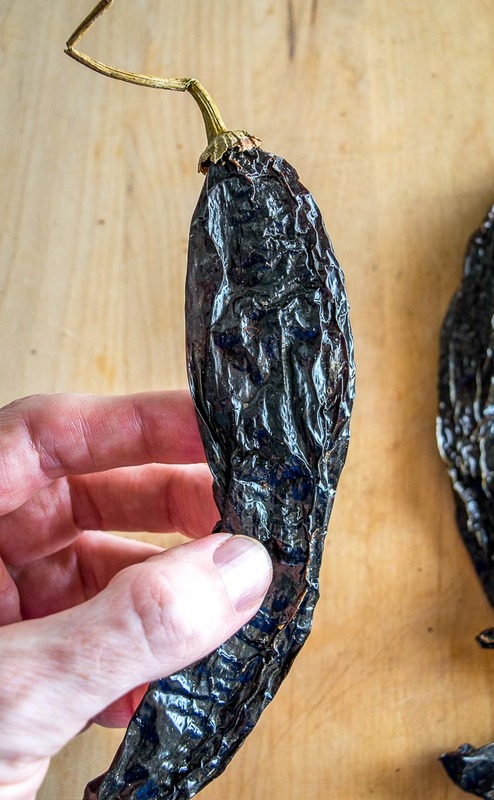 As is usually the case, dried chiles have a different name than their fresh counterpart. So to get a Pasilla chile you need to start with a fresh, green Chilaca chile. I don’t have a good pic of a Chilaca chile, but envision a longer, dark green Anaheim and you’ve got the idea. They have an earthy, slightly fruity flavor that is similar to Ancho chiles. They always seem to taste a little less sweet than Anchos to me. They’re not particularly hot either. Any chile towards the bottom of that table is quite mild. 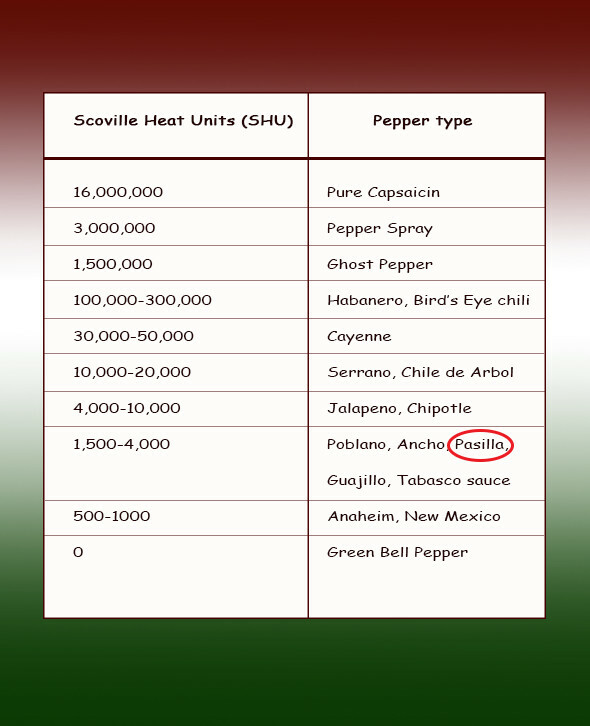 Note that they have a similar heat to Anchos, so if you’re familiar with those then you’ve already got a sense of the Pasillas’ heat profile. Speaking of Anchos, there’s a strange mislabeling that happens in the States between these two chiles. 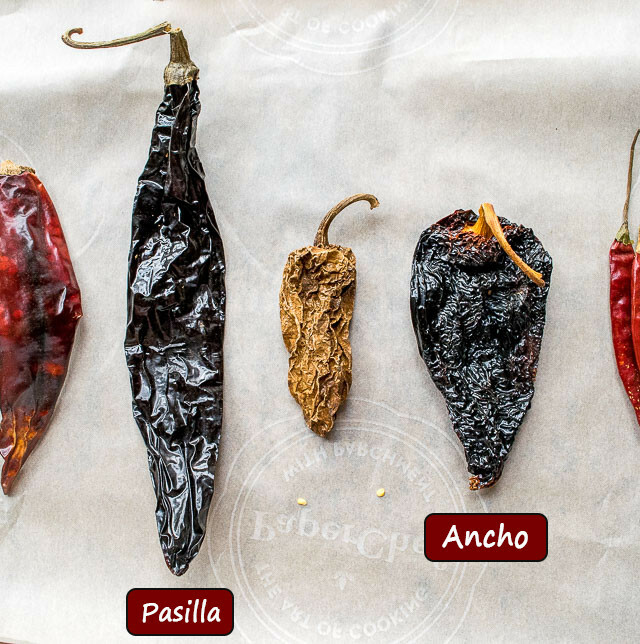 An Ancho is a dried Poblano, but for some reason you’ll come across Poblanos in the States that are labeled as Pasillas! No one really knows why this happens, but I’ve seen it a few times. And I guess the farther you get from the source (Mexico) the more likely it is to happen. 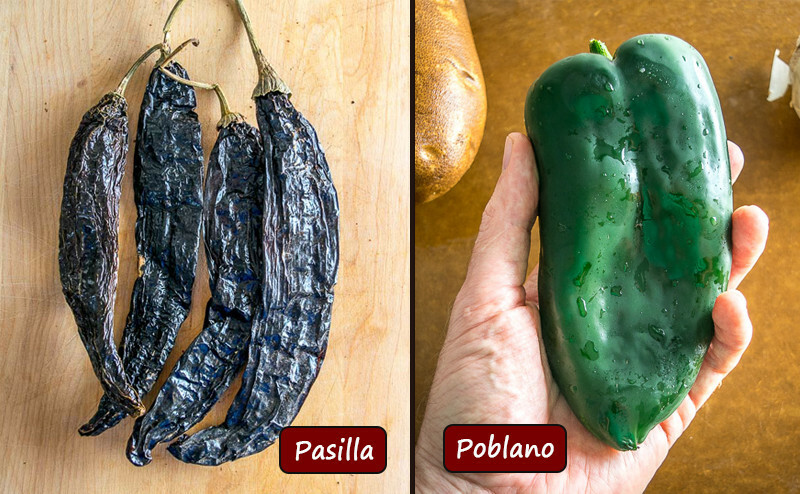 So if you come across a fresh, green Poblano in your local market and it’s sold as a Pasilla then grab the store manager and give ’em a chile lesson! So how are Pasilla chiles used? If using Pasillas in isolation I will sometimes sweeten them up to balance the earthy flavor, but this is definitely optional — I know that half of you out there crave that earthy, rustic flavor! 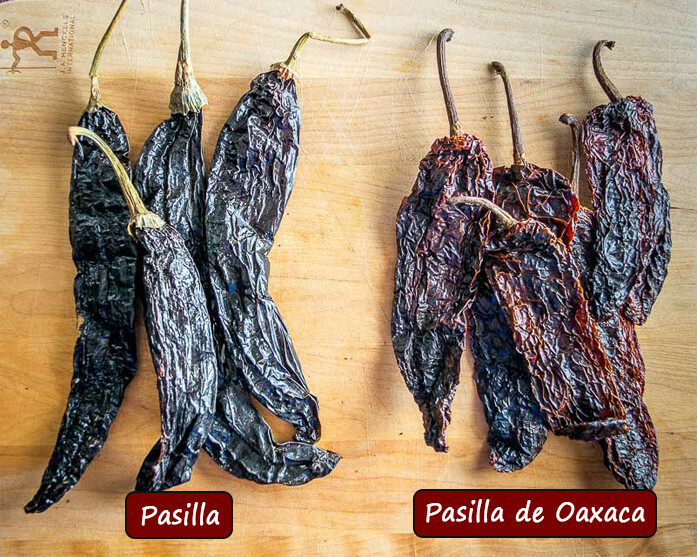 What’s the difference between Pasilla and Pasilla de Oaxaca chiles? I also want to mention that there is another variety of Pasilla out there that’s becoming more and more popular — the Pasilla de Oaxaca. This is a Pasilla from the Oaxaca region in Mexico and it is a smoked pepper with more heat. Traditional Pasillas are not smoked. 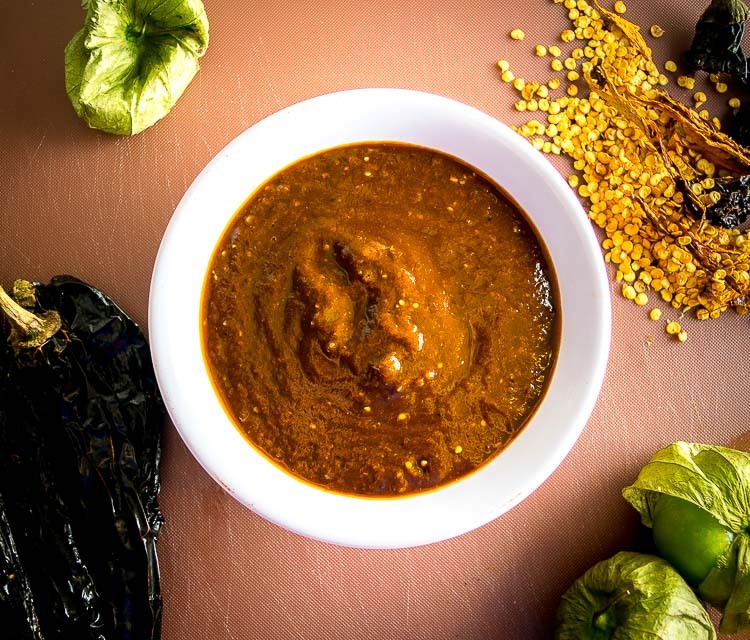 The smokiness means you are probably more likely to find the Pasilla de Oaxaca used in isolation (Salsa), but for traditional Mexican sauces a standard Pasilla chile (not smoked) is called for. If interested in Pasilla de Oaxacas, see our article for buying Pasilla de Oaxacas online. 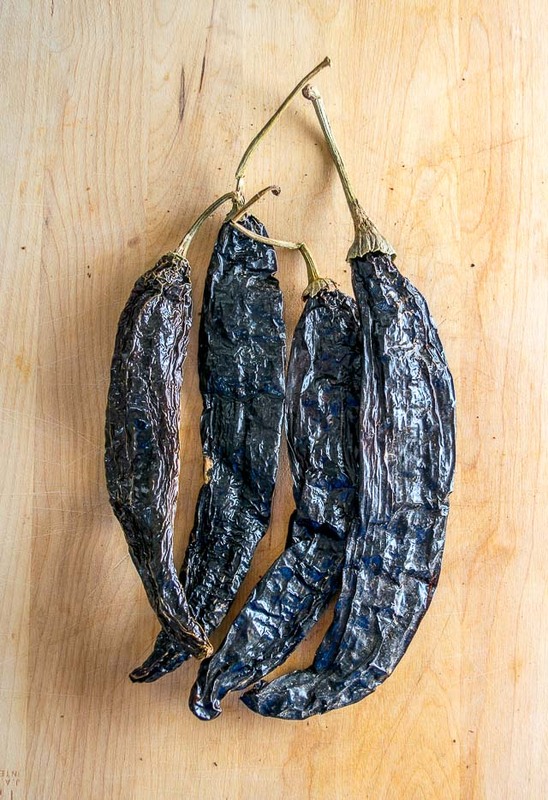 If you have a good source for dried chiles in your area then most likely they will stock Pasillas. If not there then you can always get them online. I bought these ones from Amazon recently and was happy with them. Okay, did I answer all of your Pasilla questions? I hope so! If not you can always use the Contact tab in the menu above to send me an email. Disclaimer: there are some affiliate links on this page which means I will get a small percentage of the sale if you make a purchase at no additional cost to you. But I only recommend products that I use and trust — feel free to get in touch if you have any questions about this!